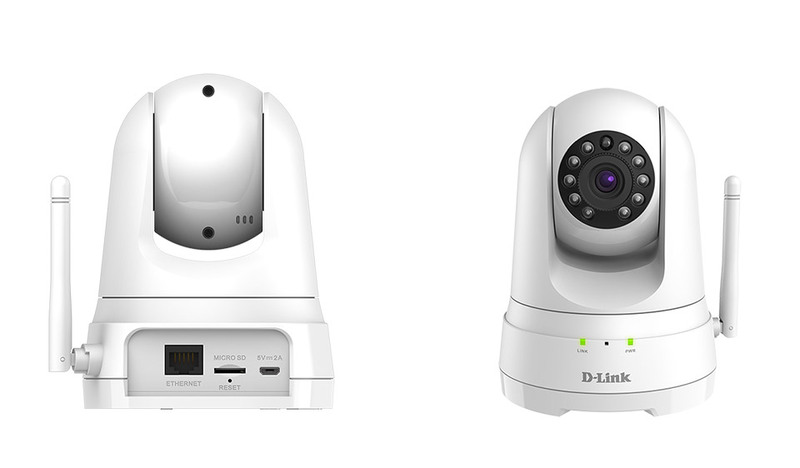 Summary: D-Link DCS-8525LH Full-HD Pan & Tilt Wi-Fi Camera is security made simple! sound detection, this device even has an impressive 340° Pan and 110° tilt control mechanism. 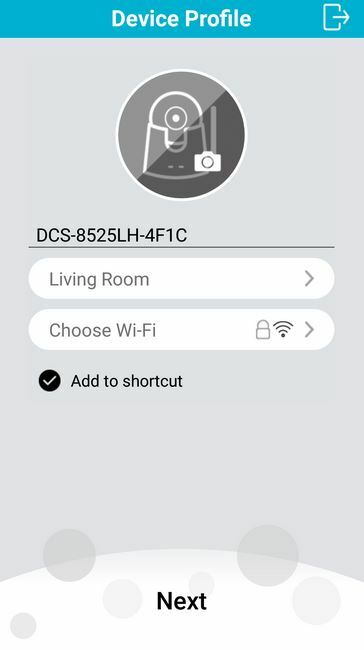 As you can see, the DCS-8525LH has some great features from an easy to use app, two way audio, cloud storage and even smart device connectivity. 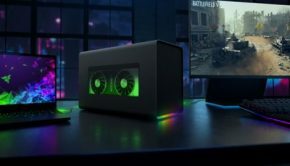 However for me, the main highlight was the pan and tilt feature which greatly increases the scope of what this device can monitor, especially the range in which it can move. 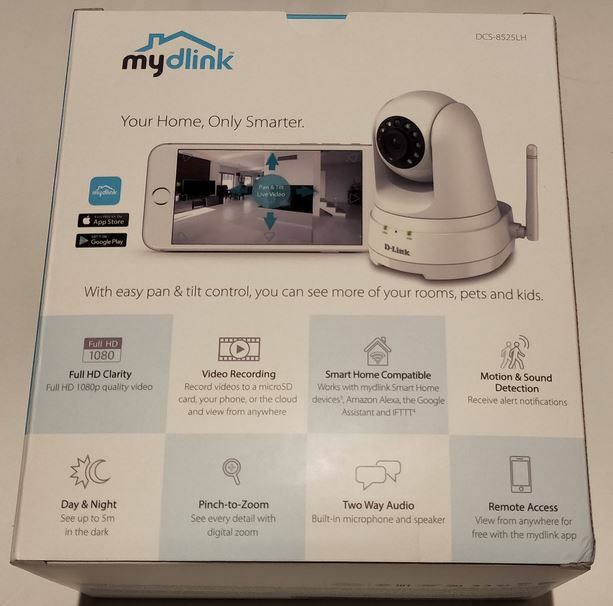 So by using the mydlink app, you can use your smartphone like a remote control as you pan and tilt this Wi-Fi camera remotely. 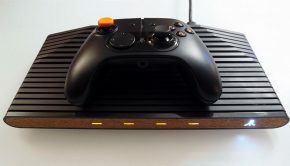 Further to this, it has built-in two way audio so you can have a conversation with the person on the other end or even your pets and children. 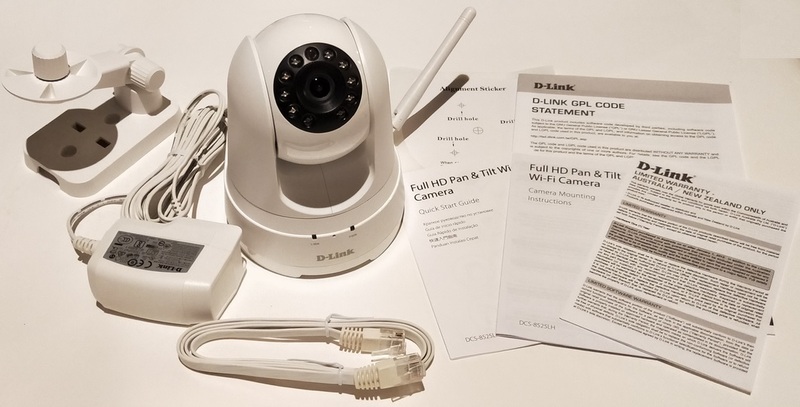 D-Link also ensure that the user has everything they need in setting this product up from instructions, mounting accessories, power cable and the Ethernet cable which makes installation very easy for the DCS-8525LH Full-HD Pan & Tilt Wi-Fi Camera. Out of the box, it feels like a well-made and solid device and I like how this Wi-Fi security camera has the antenna already attached. 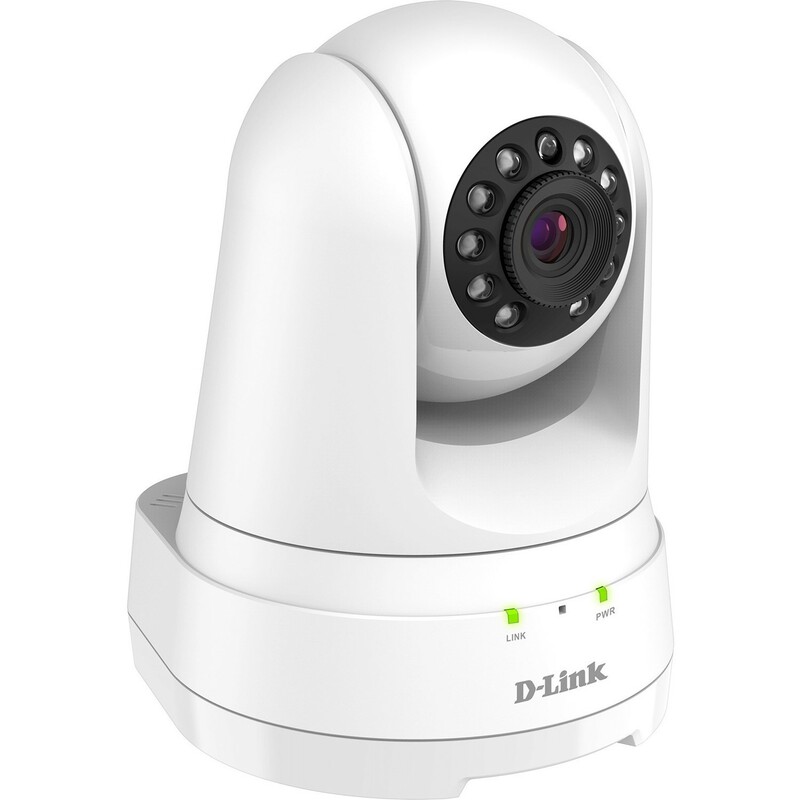 In terms of design, the D-Link DCS-8525LH Full-HD Pan & Tilt Wi-Fi Camera is a well-built product which does look like a security camera. As a result, it may provide a deterrent to someone who has broken into your home and the white colouring does stand out. The dimensions of this deivce is 116.4 (L) x 111.3 (W) and 138.1mm (H) with a weight of just 330 grams. 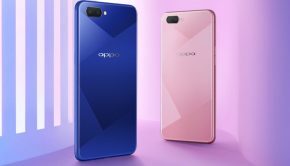 On the device, you will find a microSD card slot, microUSB for power, power LED, speaker and a camera with a 1/2.7” progressive CMOS sensor to support its video capture. Setting up this device is VERY easy. 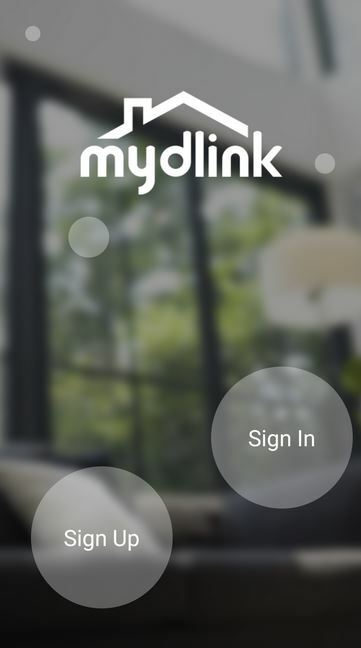 Although there is an Ethernet option, the easiest option is to download the mydlink app and follow the wizard. 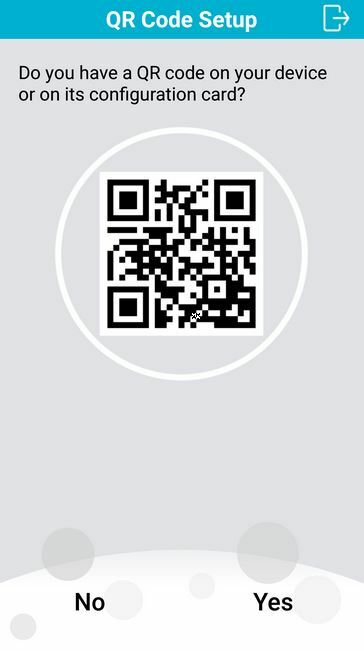 This starts by scanning the QR code in the manual or on the camera itself and then follow the prompts. 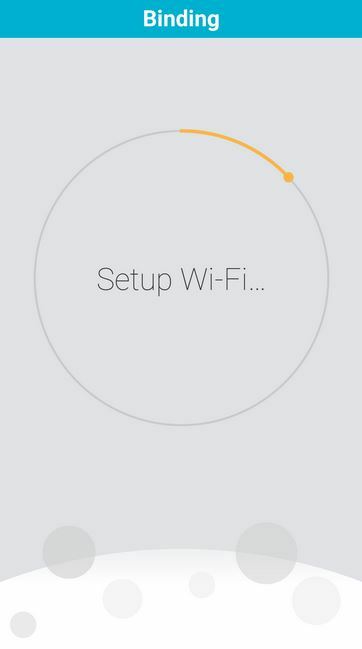 The hardest part is entering in your Wi-Fi password and this setup took just a few minutes. 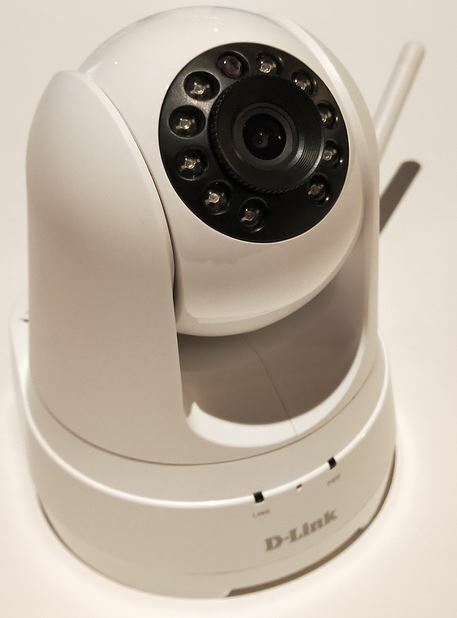 Once installed, we had full access to the DCS-8525LH that allowed us to tweak the device such as the sensitivity, accessing video recordings and live video access. The video quality of the DCS-8525LH is very clear courtesy of the 1080p video which ensures that if you ever have a break-in, the footage could be used by the police. 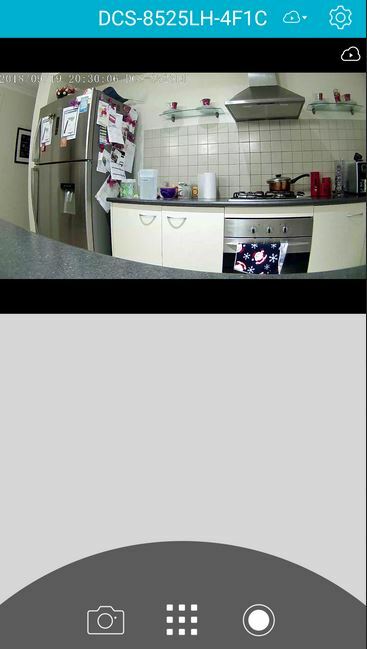 Hopefully the camera acts a deterrent plus an easy option to see what’s happening in your home is with the live camera field. Apart from recording video and audio, you can even capture stills. 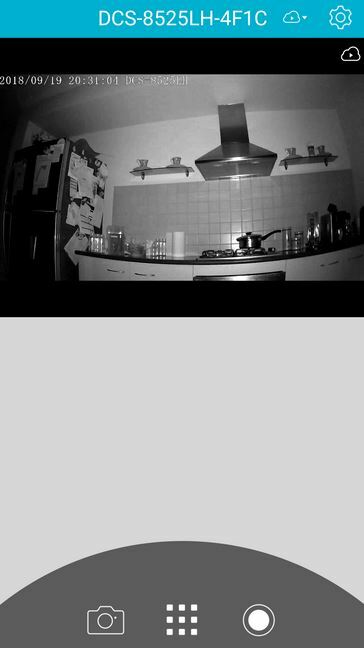 The night vision of the camera is relatively good and would more than likely capture the image of the perpetrator well. Here are two examples below of daylight vs night vision and as you can see, the night vision is quite clear. 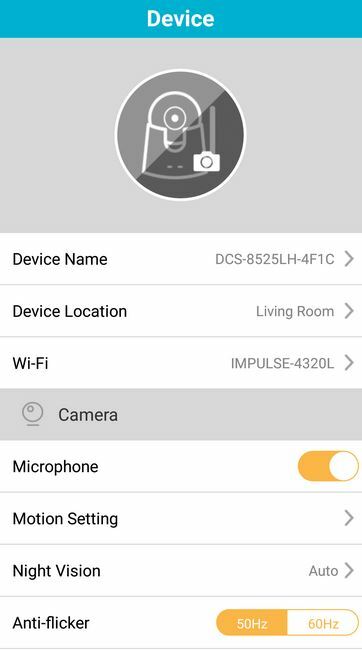 As mentioned earlier, the security aspect of the DCS-8525LH does offer motion and audio detection which means if the camera detect either of these, it will commence recording, including the ability of storing footage in the cloud or on a memory card of up 128GB. 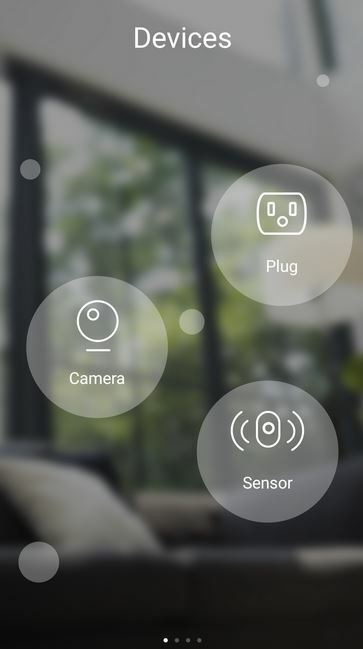 You can even set up zones, adjust the sensitivity and more importantly sending alerts directly to your smartphone if something or someone has triggered the device. If you receive an alert, you can load the app for a live view or access the cloud to see the footage. 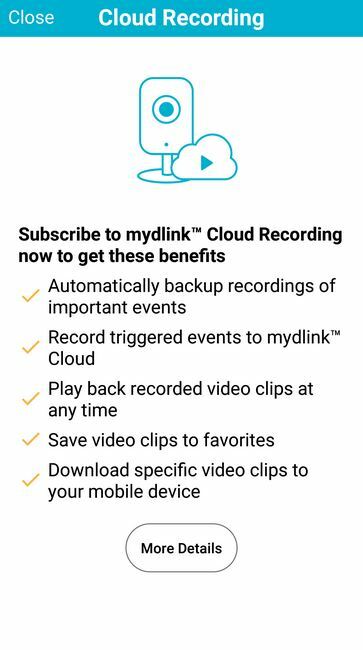 One of my slight gripes on this Wi-Fi security camera is that you do need a subscription to D-Link’s Cloud service do get more than just 1 free day of storage. 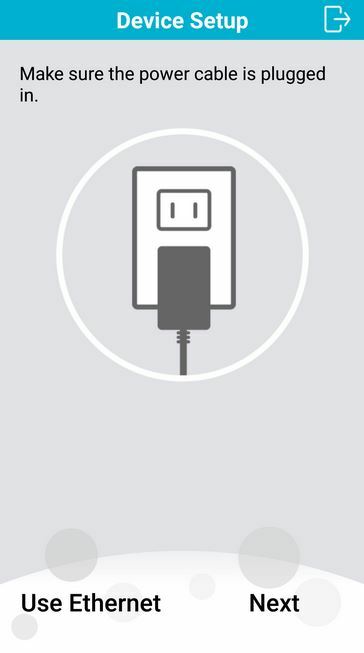 Some other competitors offer a free service of 7-days and then with subscription prices, however D-Link’s prices are quote affordable from $2.49 per month. 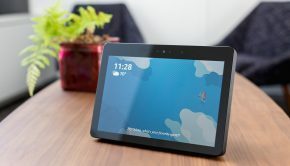 Lastly, I like how the device is compatible with other smart devices like Amazon and Chromecast that allows you to stream and cast to your TV which are great features to help ‘smartify’ your home! 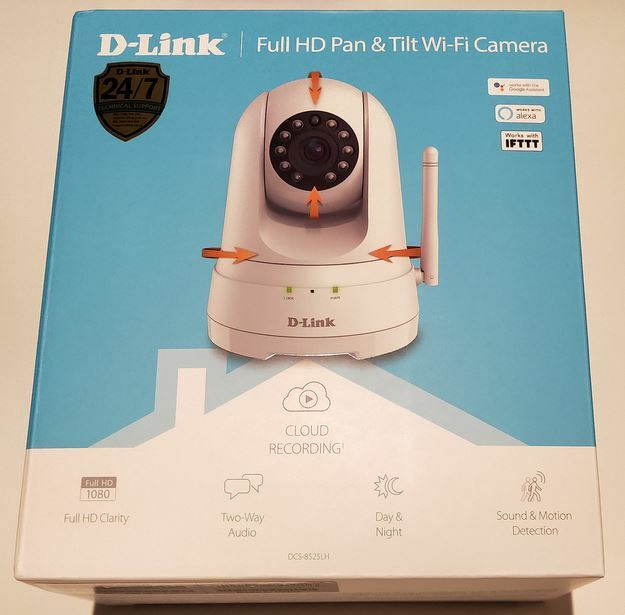 The D-Link DCS-8525LH Full-HD Pan & Tilt Wi-Fi Camera is an affordable and well-built home security camera that comes with a wealth of very useful features. More importantly, the video quality is good, including the ability to control the device remotely that is made even better courtesy of the pan and tilt feature. 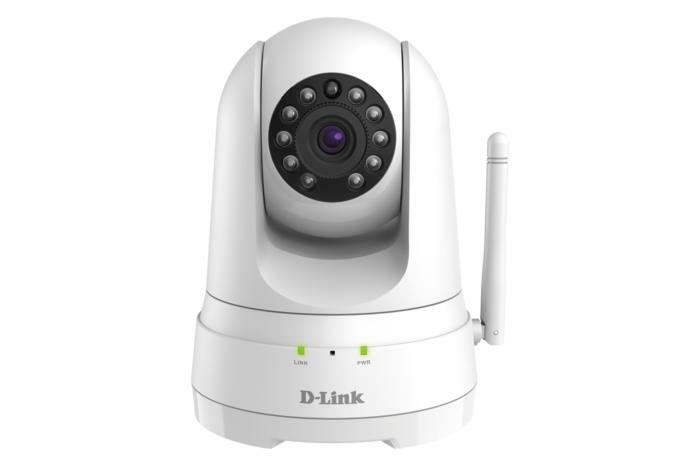 So if you’re in the market for a Wi-Fi security that is easy to setup, check out the D-Link DCS-8525LH Full-HD Pan & Tilt Wi-Fi Camera. 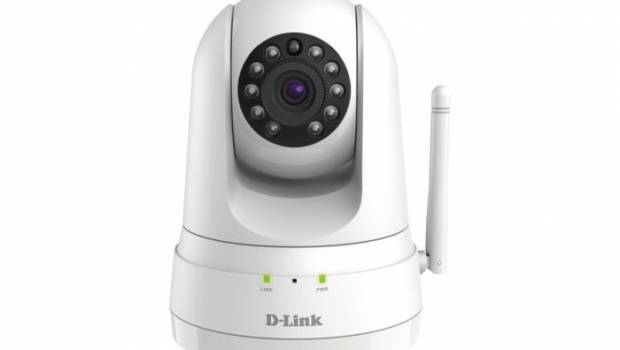 For more information, please visit https://www.dlink.com.au/home-solutions/DCS-8525LH-Full-HD-Pan-Tilt-WiFi-Camera.